The Bose SoundSport Wireless are top-tier Bluetooth earbuds primarily designed to deliver seamless sound performance and comfort. These earbuds feature Bose volume-optimized EQ which maintains a consistent, high quality level of sound performance – the sound stays true to your music at any volume and will block out external ambient noise with its noise isolating design. The SoundSport Wireless also features Bluetooth and NFC pairing with voice prompts for you to easily pair these earbuds with your mobile device or switch between devices. They are designed for sweat and weather resistance for rigorous workouts, and also come equipped with lightweight Stay Hear+ ear tips which are made from a soft silicon material with a unique shape that provides a good seal at the entrance of the ear to improve noise isolation. The battery life on these earbuds lasts a good 6 hours on a single charge, which is pretty good. 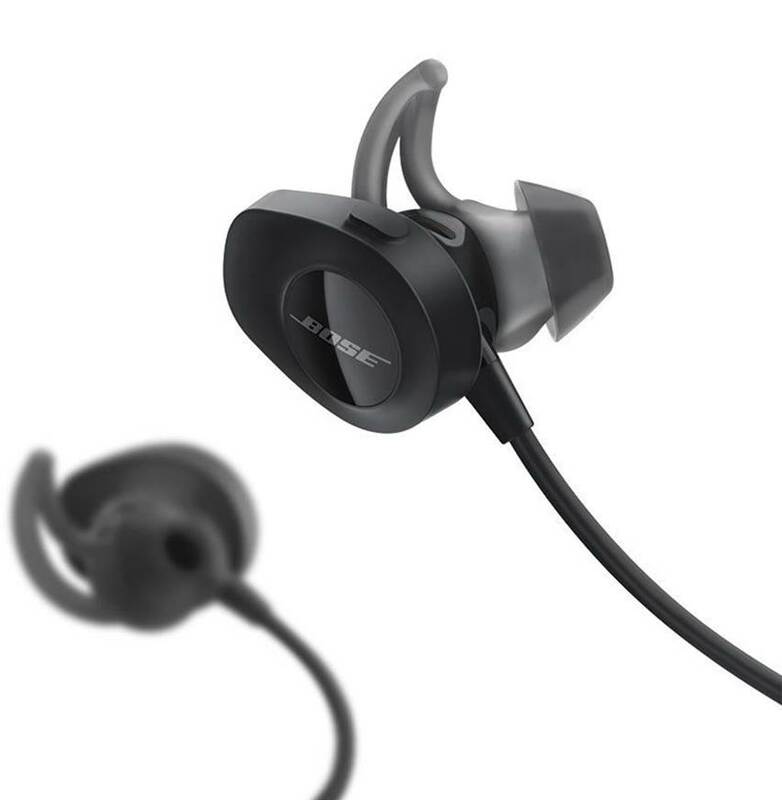 Overall, the Bose SoundSport Wireless very durable Bluetooth earbuds made especially for those who want enhanced sound performance for workouts and rigorous use. The Pros. Amazing sound quality with very detailed sound reproduction. The highs and midrange are crisp and well defined, and the bass hits hard but does not sound overwhelming or bloated. The volume-optimized EQ function helps these earbuds maintain sound quality at any volume level which is great. It also does the job of blocking out external noise quite well with sound isolation. They are very durable earbuds and will last a long time under different weather conditions. The Cons. These earbuds, while amazing, are slightly more expensive. They are definitely a set of earbuds to get only if you want to invest long term in a set of reliable Bluetooth earbuds for sports and outdoor activities. If you are looking for something more short-term, we would recommend picking other earbuds available on this list that are selling at very good price points. The sound quality on the Bose SoundSport Wireless is phenomenally good – we were very surprised at how good these bluetooth earbuds sounded. The bass response on these earbuds are extremely tight and punchy, and we really liked how well articulated the low-end frequencies feel with the SoundSport. In fact, we would say that the Bose SoundSport Wireless has a warmer and fun sound signature, with a tendency to lean on the bass-heavy side. This made listening to rock and pop music particularly exciting and enjoyable on the SoundSport. The mids and highs were also crisp and clear, and we could clearly hear the details in the midrange and the treble. The SoundSport Wireless features a volume-optimized EQ which maintains consistency in the sound quality at every volume level, which makes these earbuds sound just as good if you have to crank up the volume in noisy environments. 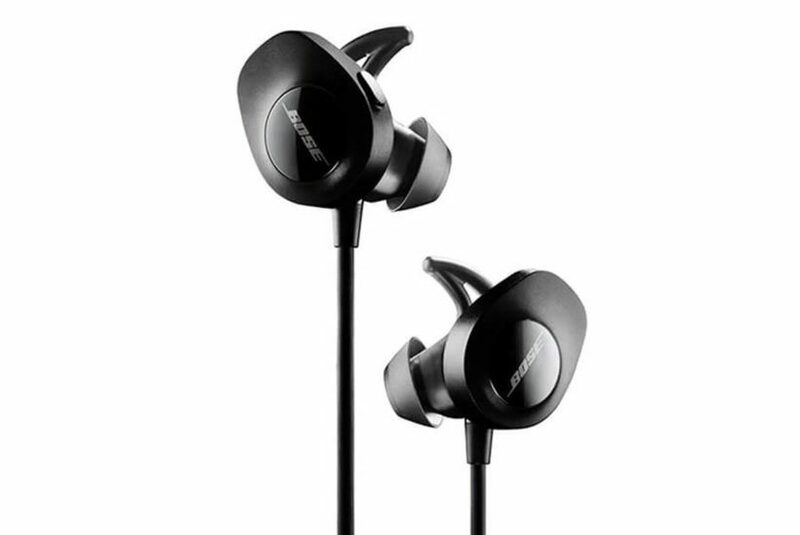 Where the Bose SoundSport Wireless shines is how comfortable these feel in the ears. Despite these earbuds being slightly bulky, they are incredibly comfortable to wear and the wires wrap nicely behind the neck without impeding movement. The ear-tips are designed with a soft silicon material which provides a good seal at the entrance of the ear, which greatly enhances noise isolation and sound performance. We were actually quite surprised at how comfortable these earbuds felt inside the ears despite their slightly larger size, and they stay securely in our ears even with constant shaking and head movements. The Bose SoundSport Wireless also includes several inner-ear tips of varying sizes for you to choose from and get the perfect fit in your ears. The earbuds are fully sweat and weather resistant which means that you can take them out for a run or for rigorous exercise in the gym and never have to worry about water getting inside them. The Bose SoundSport Wireless uses the Bose Connect app which allows you to easily connect and switch between devices with Bluetooth and NFC pairing. Interestingly, the app also has a feature where you can read your pulse from these earbuds which is pretty useful for training. The charging port is located directly in one of the earbuds which works well and takes approximately 15 minutes to charge for every hour of use. There are also buttons on the SoundSport which you can use to adjust the volume, take hands free calls and skip soundtracks. The entire package comes with a USB charging cable, a hardened carry case and an extra set of ear tips, which is a nice added touch. The Bose SoundSport Wireless are top-tier Bluetooth earbuds designed for those who want enhanced sound performance and improved wireless comfort. While the Bose SoundSport Wireless falls on the slightly pricier side, the battery life, comfort and sound quality of these earbuds are simply incredible and top-notch. We also liked the voice prompts which give a battery percentage update whenever you pair these with your mobile device, which is a useful function to let you know when to charge them. The silicone ear tips on these earbuds are extremely comfortable to wear and effectively block out ambient background noise, which is ideal if you intend to use them in noisy environments. The sound performance of the Bose SoundSport is phenomenal, and produces deep bass with crisp highs and mids with consistent sound quality at every volume level. Overall, the Bose SoundSport Wireless is an amazing set of Bluetooth earbuds and we definitely highly recommend them. 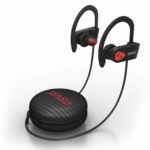 If you are looking for more options, be sure to check out our updated list of the best performing Bluetooth earbuds for gym and sports use that deliver incredible sound. 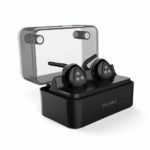 We also feature some of the best earbuds with noise cancellation and are perfect if you require a quiet set of earbuds to work with.